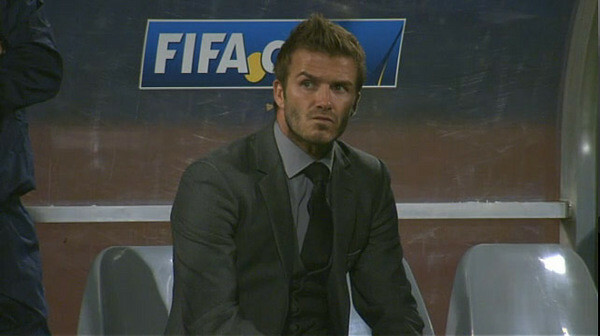 This was David Beckham’s face when USA scored a GOAL to England, thanks to the butter fingers of the goalkeeper, Robert Green. David Beckham was using a suit in the bench, he wont play in this Worldcup, his dream of being the first England player to appear in four World Cups was wrecked after he suffered a ruptured Achilles tendon while playing in in AC Milan. m gonna miss david beckham so much…plzzz david i want u bak…. every body likes abit of green.